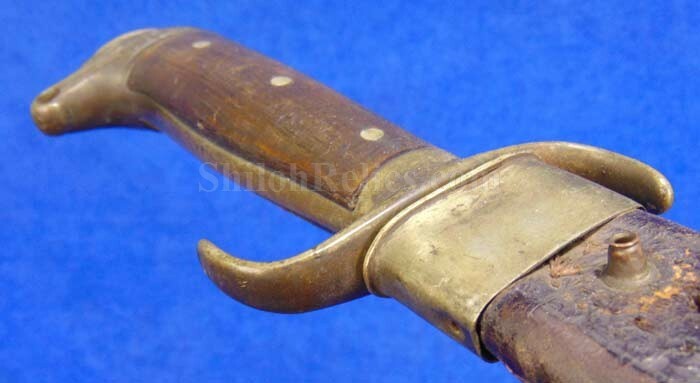 What a cool looking sword/knife. 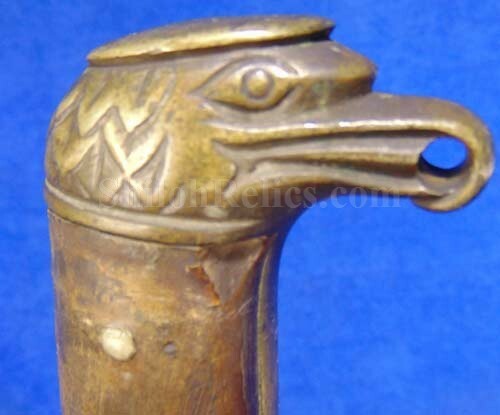 It has the handle and pommel cap like an eagle head pommel sword. 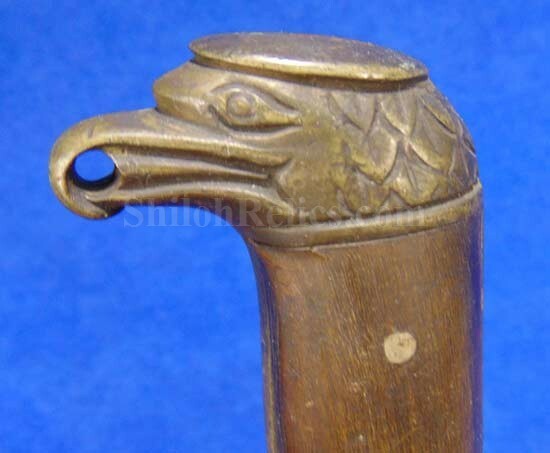 It has the beautiful large eagle head with the hole in the beak for an ornamental decoration tie. 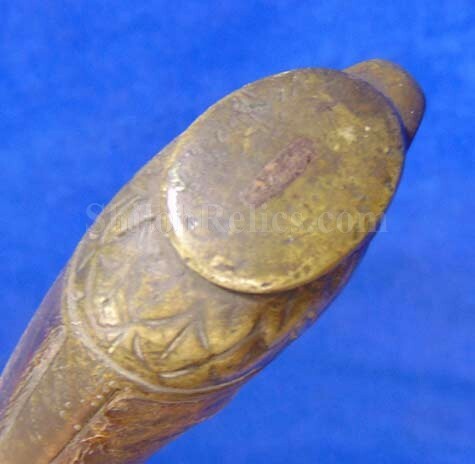 The original horn handle is present with a great untouched look. 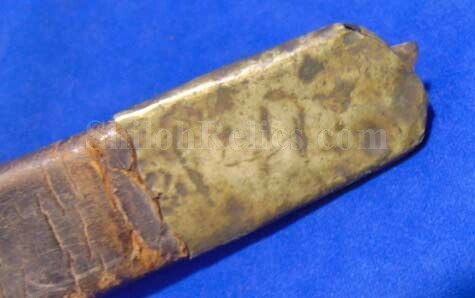 The brass cross guard is of the "S” style and also has a fine look. 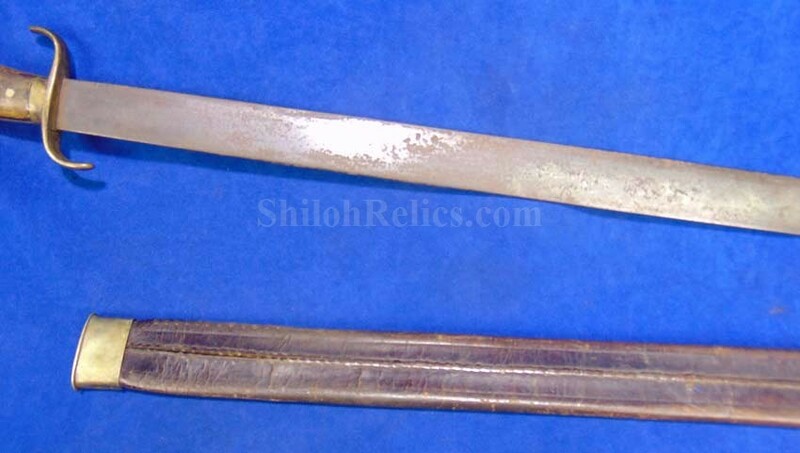 The blade is 26 inches long with a single edge. The blade is unmarked except for the number "87” stamped at the base and also a mark unlike any other I have encountered. 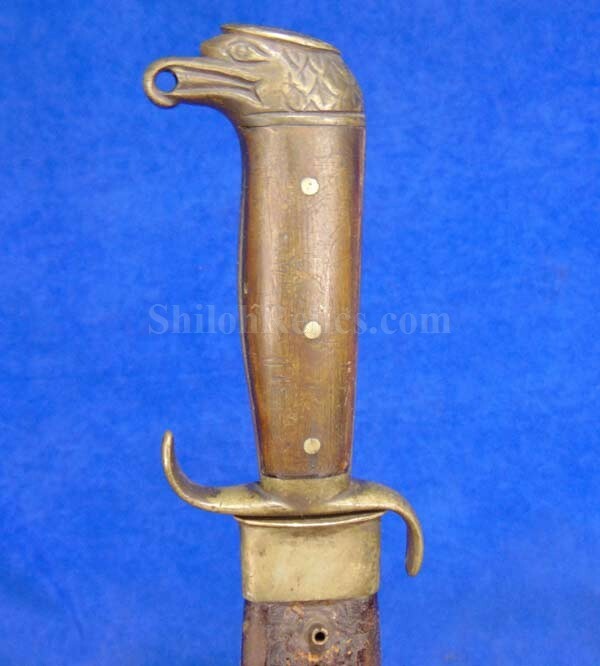 The sword or knife is accompanied by a scabbard that has been with it for a long. Long while. It has a silver throat and drag. 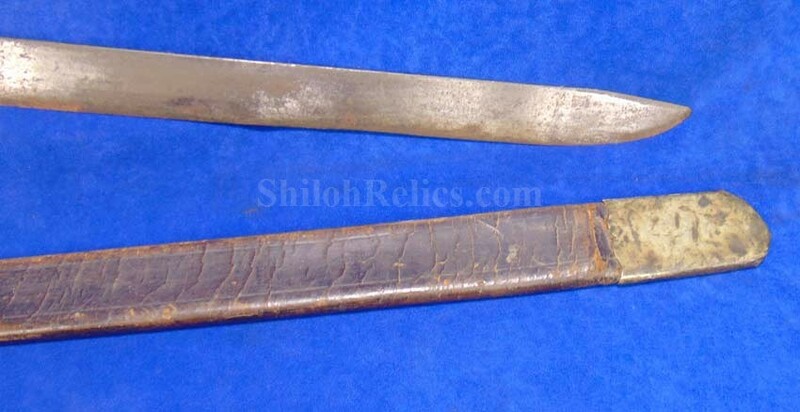 The body of the scabbard/sheath is made of black leather and appears complete. 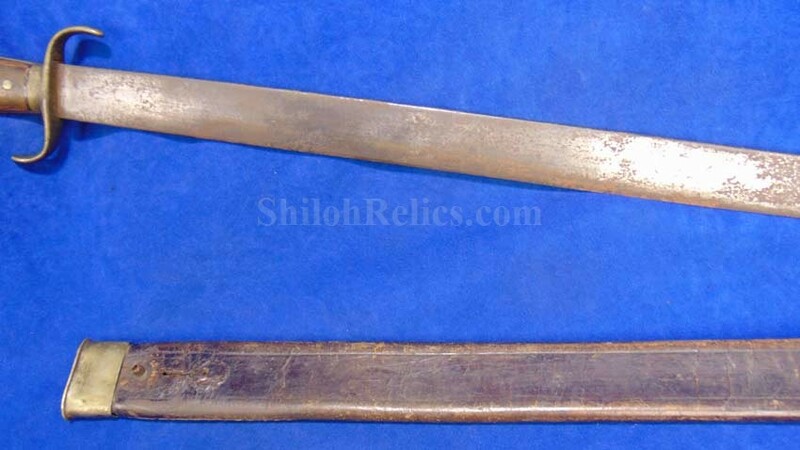 This is a neat piece that could be labeled either as a sword or a knife whichever you prefer.